Tour departs from Sydney at 7:30am. You will return to Sydney in the early evening. This tour is very popular and books up fast on the weekend. We are comparing Hunter Valley Wineries with Lunch Prices from leading ticket suppliers and Try to find you Cheap tickets prices on the market. The Valley is home to over 100 wineries including a mix of internationally renowned vineyards and small, family-run, wineries. The region is considered a picturesque escape from the hustle and bustle of Sydney's city centre. The region grows an array of grapes and produces Shiraz, Chardonnay, Pinot Noirs and Cabernet Sauvignon. Each vineyard has a store where you can purchase any of the wines you've sampled during the day. Your Experience With Hunter Valley Wineries with Lunch? Enjoy views back over the Sydney Harbor Bridge as you leave the city. 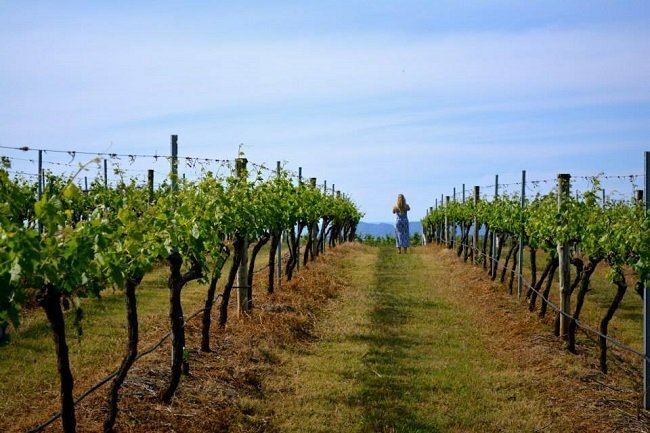 Visit three separate wineries in the Hunter Valley. Taste award winning Australian wines. Enjoy lunch in the Hunter Valley at a local restaurant, here you'll dine on local produce from an extensive menu. Learn about the wine making process as your guide talks you through the history of each vineyard. Take a behind the scenes winemaking tour. What Hunter Valley Wineries with Lunch Includes? Wine making tour (availability dependant). Make sure you dress appropriatly for the weather and pack suncream. Travelers Reviews about Hunter Valley Wineries with Lunch? Meeting point: St Laurence Church, 812, Sydney.